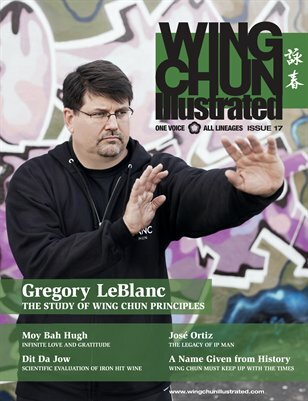 Issue 17 of WCI features Sifu Gregory LeBlanc on the cover. Sifu LeBlanc has been involved in formal martial arts training for more than 30 years. In 1997, he began studying Wing Chun under Sifu Gary Lam, training directly with Sifu Lam for an average of 20 hours a week over seven years, until eventually becoming an indoor student and also serving as Sifu Lam’s Assistant Coach from 2000-2005. For a complete table of contents, please visit our website.